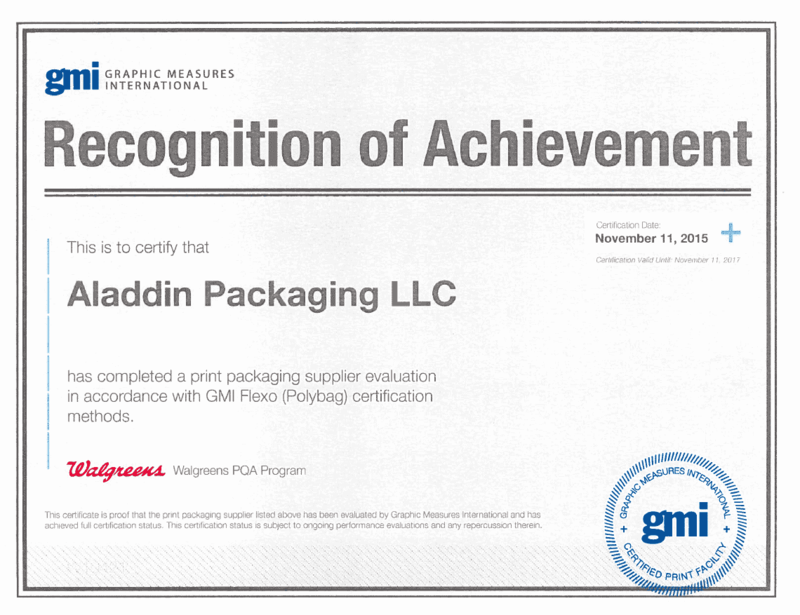 Aladdin Packaging can produce printed roll stock in various widths and substrates. We can handle anything from simple one-color to highly complex 10-color process jobs. Our capabilities range from 3" webs up to 52" webs, and our rolls can be single ply, 2-ply or 3-ply, depending on our customers' requirements. Pouch bags come in two varieties: lay-flat or stand-up pouches. All pouch bags can be 2-ply or 3-ply laminated structures, and either variety can be finished as a 2-side sealed or 3-side sealed pouch. Generally, 3-side sealed pouches are more durable. Stand-up pouches are used by manufacturers that need their products to be structured for a vertical position – either for shelf visibility or for support-free usage. The added zipper/reseal feature can be incorporated into either type of pouch bag. All basic side weld bags can either be flat packed or wicket packed, plain or printed. Side-weld bags can be made from different substrates, i.e. polyethylene, cast polypro, polyolefin, as well as 2-ply laminated structures. Side weld bags are widely used by many manufacturers for all their packaging needs. The added zipper/reseal feature can be incorporated into most side-weld bags as well. Cold-seal is a process widely used by the chocolate industry or by any manufacture that cannot use heat or apply any pressure in their packaging process. A thin layer of adhesive is applied without the need for any heat or high pressure. 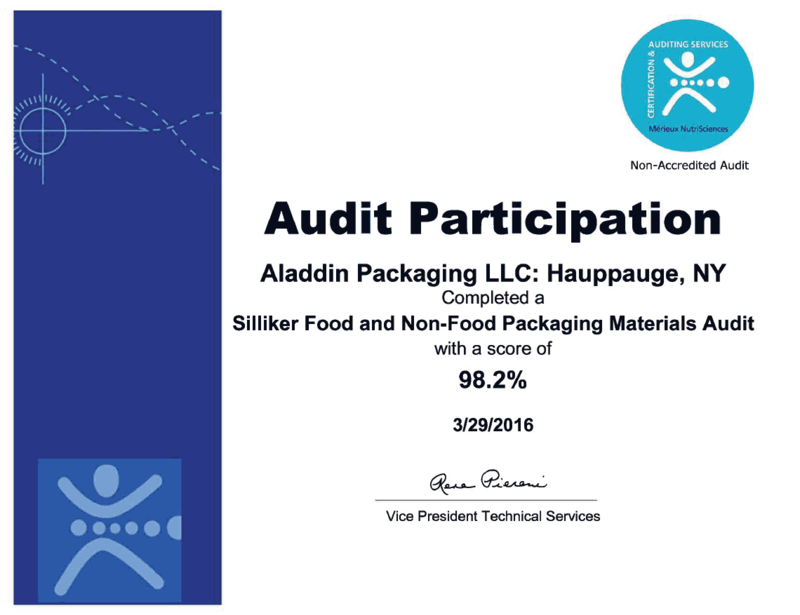 Aladdin Packaging has the latest machinery used for this application. From yogurt containers to mixed nut packs, we've got you covered. Whether they are made of poly or foil, our flexible lids have a wide range of uses and applications. 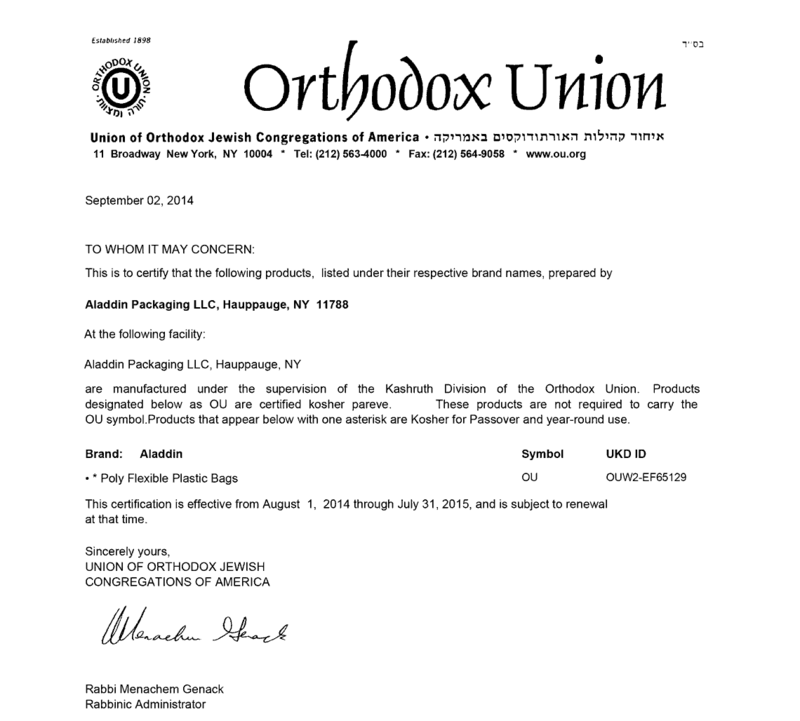 All our films are approved by the Food and Drug Administration for use by the food industry. Wicketed bags are most commonly used for packing food, such as ice, apples, potatoes, apparel and meat, bags are put up on a wire “wicket” for ease of dispensing. If your requirements insist on automatic or semi-automatic packing, wicketed bags provide the perfect solution. With a wide range of sizes, thicknesses and substrates, we manufacture according to your specification.